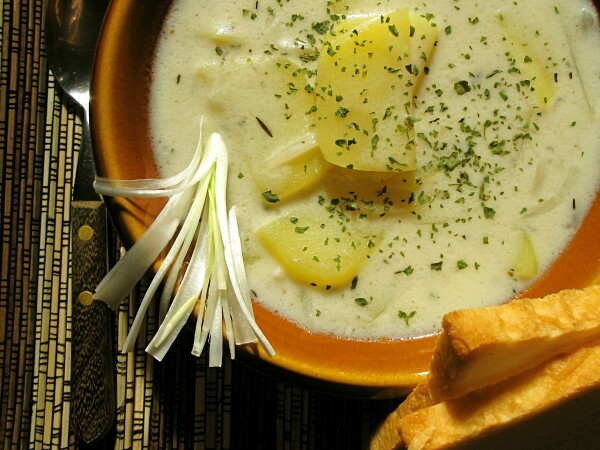 Potato soup is one of those things that you can find the world over. When it is made just right, it has an incredible heartiness to it that just can’t be replicated! There are numerous ways that this dish can be made, but what the world eats comes from a pretty standard base recipe that is later modified to personal taste. If you want to make an incredible potato soup, then the first thing you’re going to need is a slow cooker, like a Crock Pot. You can make the soup on the stove top if you wish in a large saucepan, but you won’t get the consistent results that you’ll want. Unlike other soups, you actually want to start cooking the ingredients in your slow cooker before you add in the milk. Dice the potatoes and put them in first to get them cooking. If your slow cooker has a high setting, then use it. Then add in the remainder of the ingredients, finely chopped based on your preferences. You’ll need to mince the garlic, however, so that you don’t overwhelm someone if they bite into a big chunk of it. Add the salt at the end and let the ingredients cook on high in the slow cooker for about 3 hours. It is at this point you can add the milk. If you start cooking the milk and the ingredients together at the same time, the milk will actually separate and you’ll be left with a curdled, icky mess that still tastes fine, but doesn’t look very good. Add just enough milk to add some substance to the dish, usually just a cup or two at most. Mix it in well and then add any extra salt you may need to have it seasoned properly. Turn the settings to low to prevent the milk from separating and let it warm up over the next 60-90 minutes. Then you’re ready to serve! Variations: The primary variation that you’ll find is the addition of bacon. Make sure to fry the bacon before adding it to the soup because otherwise you’ll end up with a fatty, soggy mess! Take 6-8 strips of thick applewood smoked bacon and add it in just as you’re about to serve the soup for best results. Another popular variation is to add seasonal herbs/vegetables to the soup. Squash, zucchini, celery, anise, basil, and lemongrass all work pretty well. A spicier version includes habanero peppers, chili powder, and radishes, which should definitely be tried at least once. It’ll clean out your sinuses though! Cream is an easy substitute if you want a thicker soup. It will also separate easier, so be careful! If you don’t want to deal with the hassle of a milk-based soup, you can use chicken stock as your liquid instead. Chicken stock can be added at the same time as the vegetables into the slow cooker, but be careful about much salt you add. Many stocks have high levels of sodium included with them if they are pre-made – even if they don’t taste like it! On a cool evening, nothing satisfies like a warm potato soup. That’s why it is one of the essential dishes that the world eats. Make your own and tell us about the results! Next Article Puzzling World: As If You Needed Another Reason to Visit New Zealand!